DUBLIN - February 7, 2019 - Medtronic plc (MDT) announced today that it has received U.S. Food and Drug Administration (FDA) approval on an expanded indication for its Pipeline(TM) Flex embolization device.1 Previously indicated for the endovascular treatment of adults with large or giant wide-necked intracranial aneurysms (IAs) in the internal carotid artery from the petrous to the superior hypophyseal segments, the new indication opens options for patients with small or medium, wide-necked brain aneurysms in the territory from the petrous to the terminus of the internal carotid artery. Designed to divert blood flow away from an aneurysm, the Pipeline Flex embolization device features a braided cylindrical mesh tube that is implanted across the base or neck of the aneurysm. The device cuts off blood flow to the aneurysm, reconstructing the diseased section of the parent vessel. 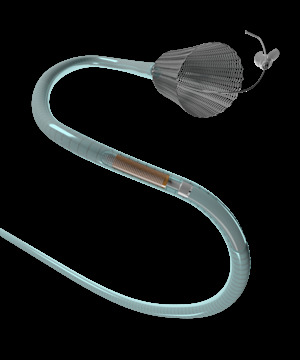 This is the second Investigational Device Exemption (IDE) study for this implant which gained FDA approval after completing the `Pipeline for Uncoilable or Failed aneurysms` (PUFs) trial, a 5-year study for large and giant wide-necked aneurysms of the intracranial internal carotid artery (ICA) where efficacy rates were reported at 70.8 percent at 1 year that progressed to 95 percent in subjects with angiographic follow up at the 5 year time period. In the PUFs study the overall occurrence of major stroke or neurological death was 5.6 percent4. There were no documented cases of aneurysm recurrence in patients treated with the implant. Flow diversion has been used to treat patients in the United States since 2011. This product is part of the Neurovascular portfolio in Medtronic`s Restorative Therapies Group. Medtronic plc (www.medtronic.com), headquartered in Dublin, Ireland, is among the world`s largest medical technology, services, and solutions companies - alleviating pain, restoring health, and extending life for millions of people around the world. Medtronic employs more than 86,000 people worldwide, serving physicians, hospitals, and patients in more than 150 countries. The company is focused on collaborating with stakeholders around the world to take healthcare Further, Together.